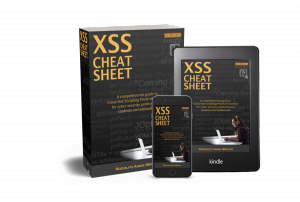 If we have the source code of a server side script, which is the case of open source software, we can find XSS vulnerabilities in an automated and much faster way. 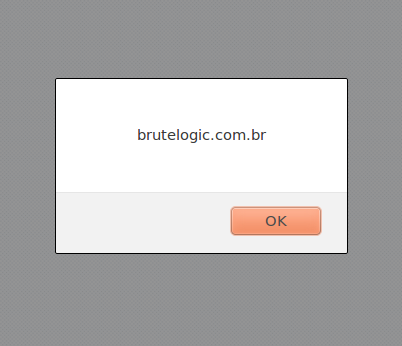 This white box approach is called static analysis and there’s a lot of tools available in the web for this task. 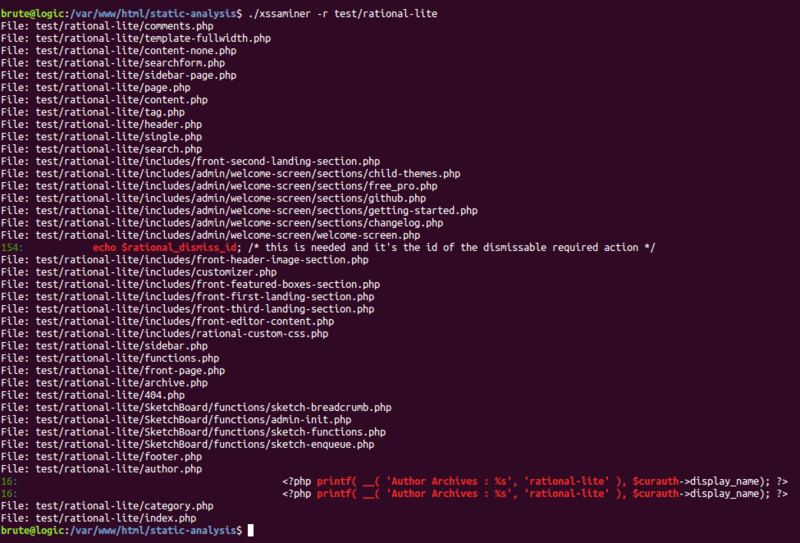 But following our philosophy “hack to learn”, we’ll see now a simple way to look for XSS in PHP source code by searching for common patterns. 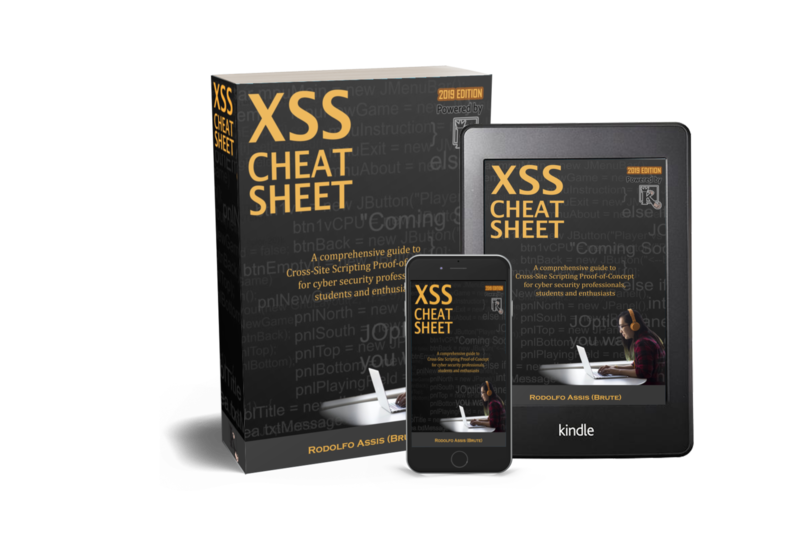 Built around grep, a bash utility, this short tool named XSSaminer is available here. If the 1st command line argument ($1) is null (-z) then show the usage instructions using the $0 as the name of the script and terminates it. If not, just assign that argument to the “f” variable, needed for the main function. Next comes the declaration of our sources and sinks, with some incomplete strings because they will be used just for a match. Sinks use sources, so if one meets another (without taking sanitizing functions into consideration), we will have a dangerous reflection of user controlled input somewhere into the generated HTML. This last one, REQUEST_URI, doesn’t decode the URL special chars like double quotes (“) and less than sign (>), which is a problem since browsers make the request with these encoded. So, this variable will be only exploitable in a stored XSS scenario, intercepting and editing the browser request (or using another HTTP client) or if it’s decoded anywhere else in the PHP code before landing on a sink. The xssam() function is responsible for combining sources and sinks to find the direct occurrences in the first and second “for” loops. The “a” variable is used to get the name of a var that is receiving one of the dangerous global ones (sources), providing one level of variable tracking to the script by means of the third “for” loop. In the main code the script decides between a single file calling the xssam function or the recursive mode. This is done by using the folder provided in command line ($2) with the “-r” option (which takes the place of the file name) to feed the same function in another “for” loop. XSSaminer is aimed at low-hanging fruits and very prone to FPs (False Positives) but with so few LoC (Lines of Code) it is “cost effective” if you consider the LoC/results rate. P.S. : Added a “?” to the list of sinks to check for things like “<?= $_GET[‘p’]; ?>” which is also a valid reflection.